The piano interpretation studio will be presented as a series of open classes lasting 3-4 hours. Students are expected to attend every class. (Please note that due to time constraints, additional private lessons are not possible.) 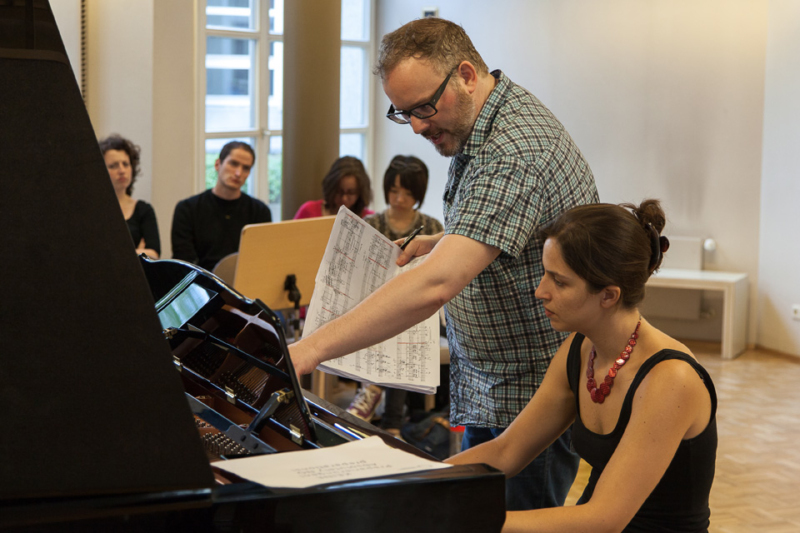 All pianists accepted onto the course are also expected to take part in the Piano Composition Workshops with Nicolas Hodges and Brian Ferneyhough (details will be announced later). Established works written after 1945 by composers such as Stockhausen, Boulez, Barraqué, Berio, Xenakis, Cage, Feldman, etc. A work by a younger composer born or residing in your country of birth or residence, which preferably has not yet been performed in Germany. Works for prepared piano or with electronics can be presented, bearing in mind practical constraints to be discussed in advance. If you intend to present any works involving playing anywhere other than on the keyboard and with the fingers, please inform us of the details in your application. Please note that works written before 1945 will not be studied in the course. The language of the course will generally be English. Nicolas Hodges will choose the participants of his studio. Applicants will be notified by the end of April 2018 latest. Online booking for this studio will be opened afterwards to the selected participants.